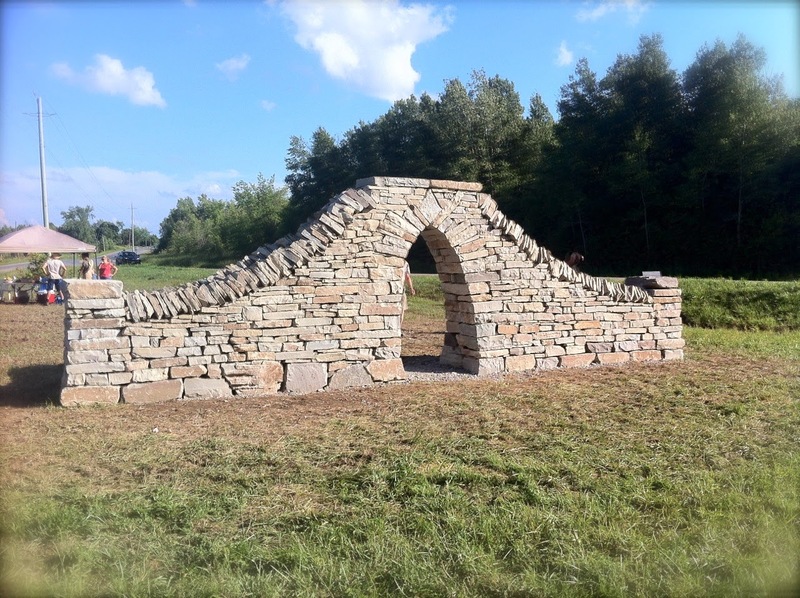 Yesterday we completed the Ennismore Irish Arch Workshop near Bridgenorth Ontario. 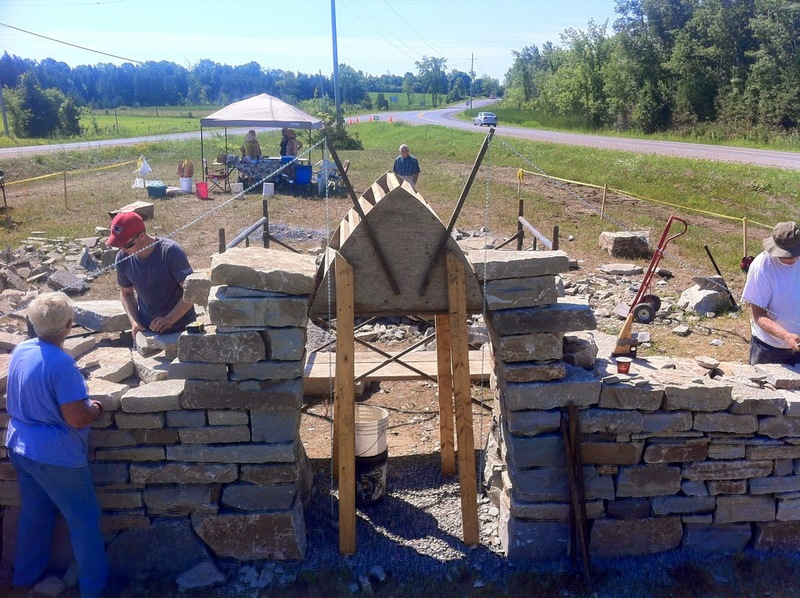 It was held on two consecutive weekends. During that same week World Cup Soccer and Wimbledon Tennis finals also took place. I thought how much like a world class sporting event 'walling' is. The teamwork -The passion -The energy -The striving to do well and score high. 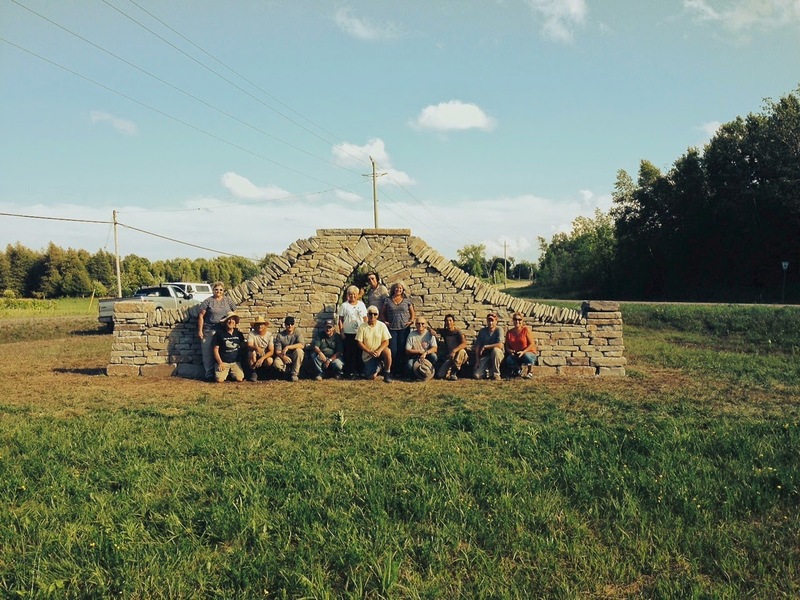 Our goal was to build an unbeatable dry stone arch that would bear permanent record to the cooperation enthusiasm and skill of the 'archers' (and gardeners) who came together to create it. The four day 'supporting event' itself was a huge success, but more importantly the structure will continue to thrill spectators and passers-by for many years. A big thanks and hearty congratulations go to the members of my team for their super effort. - Cindy, Miklos, Ryan, Barry, Gail, Norm, Wayne, Sarah, Ian, Sandy, Byron, Justin, Helen, John R, Don, Gerry, Mark and our sponsor Jeff Parnell.